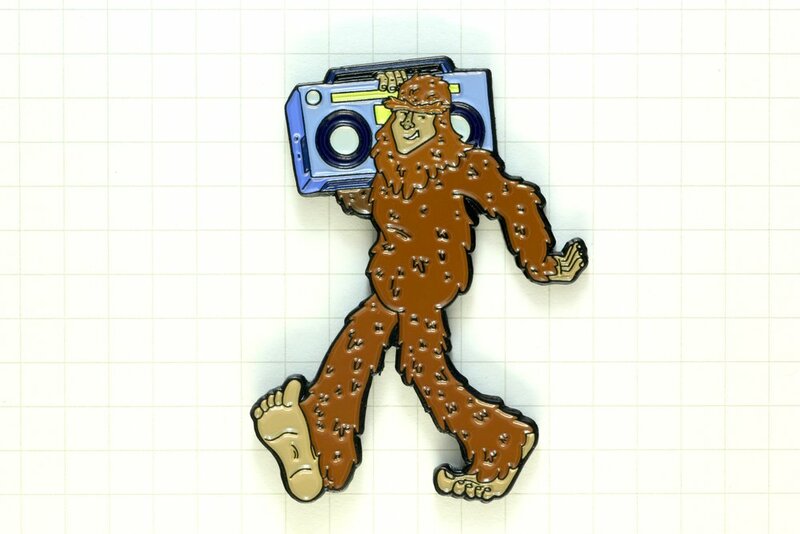 Old-school Bigfoot rocks his boombox in the northern woods- sometimes heard but rarely seen! Choose from blue or gray boombox. Measures 2" tall, soft enamel and black dyed metal. Comes to you carded and bagged.